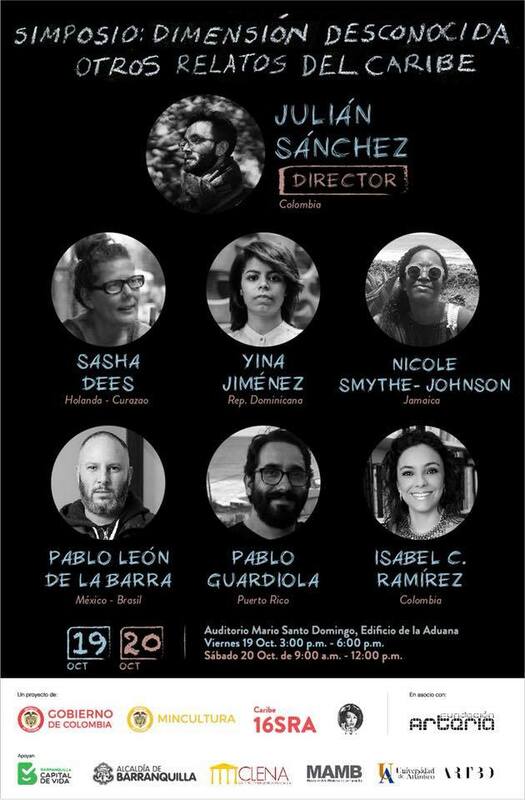 I am invited to speak about my research in the Caribbean by La Usurpadora at the symposium of the XVI Regional Salon of Artists of the Colombian Caribbean (RSA), Dimension desconocida – otros relatos del Caribe. 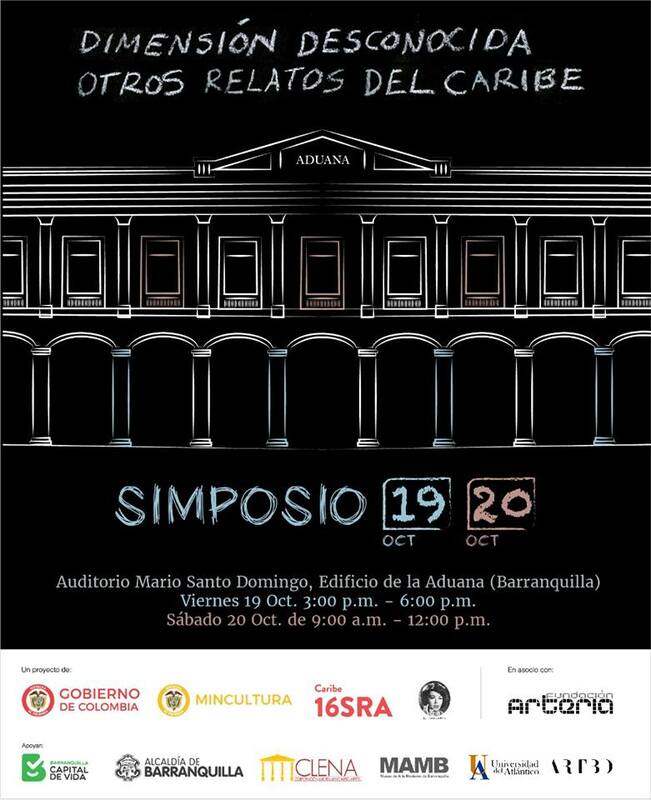 The Symposium takes place on 18 – 20 October, 2018 in Barranquilla Columbia at Auditorio Mario Santo Domingo, via 40 # 36 -135 Edificio La Aduana. The symposium is part of a large exhibition that will be featuring different artists from this region in Colombia and is part of 6 exhibitions that take place in the Country every 3 years funded by the Ministry of Culture will open on Thursday 18 October (4 – 10PM). The exhibition is curated by Maria Isabel Rueda and Mario Llanos and is produced by Waldy Cantillo Martinez. It takes place in Edifico Fabrica de Cultura, Carrera 50 Cale 40 esquina (entrance is on Calle 40). I am part of the panel Counterpoints on Cultural Hybridization in the Caribbean with Nicole Smythe-Johnson (Jamaica/USA) and Julián Sánchez González (Colombia/USA) on Friday 19 October. Other speakers/panelists are: Yina Yimenez (Dominican Republic), Pablo Leon de la Barra (Mexico/Brazil), Pablo Guardiola (Puerto Rico) and Isabel C. Ramirez (Colombia).